My last post was post number 100. I didn’t even notice. I went to the RE today for CD7 monitoring, I have 1 follicle still on the left ovary that is 12.1. FSH is lower, *weird* E2 is about where it’s supposed to be. It’s grown exactly 6mm in less than 5 days with a natural cycle. Which as of this morning is no longer natural. I’m on a new protocol this month, where instead of Clomid, I’ve been prescribed Tamoxifen. Which I am only familiar with as a cancer drug. Because my mother took it for 10 years, before being diagnosed with breast cancer for the second time. That scared me a little, however it seems my RE has discovered that it acts (stimulates) similarly to Clomid but doesn’t thin your Endometrium or cause your LH to surge unnaturally. I monitor again on day 12 (Tuesday) to see whats happening. I imagine, since I’ve done this 10 or 11 times before, that I will trigger, and get a retrieval at some point next week if all goes well with the new meds. In 10, 11, oh who the hell knows, how many retrievals, I’ve never had a dominate follicle come from my left side. Ever. I’ve gotten a follicle or 2 from it before but they always wind up being the immature ones. My left ovary is all wallflower-ish and under achieving. Like me in High School. Kinda. It’s the one that’s most easily visible and isn’t in a weird place like my right one, but it’s generally kind of lazy. Who else has 1 lazy ovary? How do you get it to be less lazy? Tell it, “You’re grounded until you produce a follicle?” Seriously, is there anything anyone can do to wake the lazy one up? Throw ice water on it? Poke it? What causes one to be lazy? Is there a difference in the egg quality? Its been a busy week. Remember how I took Chinese III (Mandarin) a few months ago? We this semester I decided since I’m at home alone a lot at night, to take Honors Economics and Honors Political Science and Chinese IV, for fun. Note to self: Stop making decisions while hopped up on fertility meds or in the middle of a depression after a failed FET. Most people would avoid making decisions during times like that. Not me. Bring on some school, and some homework, and some new pencils, and SHUT THE FRONT DOOR this is expensive! Yes. I am an idiot. My new “plan” is actually going pretty well so far. I’m avoiding the people and the “friends” and the situations that don’t add something positive to my life or my day-to-day. Instead, I’m trying to focus on friendships and classes and activities like Yoga, that make me feel better about myself. I’m also trying to avoid added stress and while the classes “might* have been counter intuitive, I have to admit it does feel good to have my brain engaged in something intellectual. Add a little more exercise and I should have a good recipe for how to better manage the outside stressors in my life. Since I had to get a scrip filled from the Dr, I stopped at Costco this morning after my appointment. Where I got the scrip filled and decided to bring home some flowers for no other reason than because I felt like it. Usually there has to be an occasion. But not today. Today I just want to be surrounded by pretty, happy, peace and serenity, and there doesn’t have to be a reason. Right? I had acupuncture today which hurt like a mofo because Shark week has still not appeared. Although my back and right ovary have been killing me. Which wont matter to either of them because they are busy in their ray bans with their skinny jeans laughing and making fun of the fact that I was doing the same thing to them like… 30 years ago. Of the 2 people that joined my IVF Clinics Peer support group one is now pregnant. I’m happy for her seriously, she’s had a rough go of it, she’s a good 1000 years younger than I am, but all the same, its proof this method works! Now lets just get it working for me, that’s all I’m saying. Linda, all the very best at your second Beta on Wednesday!! Everything will be crossed for you. Emily finally called last night from Hong Kong, there is a Typhoon warning and they aren’t leaving the hotel much, and while I hope shes safe from harm I also kind of want to laugh at her mom for taking her on such a craptacular vacation. I know its awful. I’m sorry its mean but seriously? I’m a white person, and even I know Hong Kong in June is a bad idea. All that aside it made husband really really happy to hear from her. We bought 2 bronze Japanese lanterns for the yard yesterday for 45.00. They are both from the 30’s, Pasadena, and probably Green and Green. They look fabulous they way he hung them. Now that part of the yard is complete we need to look at the next area. He got what he wanted on Fathers day. For once he read my blog and loved what I wrote about him being a dad and all I’ve learned from him. We are planning a party for sometime this summer. I kind of want to ask my RE and my Acupuncturist, how weird would that be? I’m considering making raspberry jam, and I’ve had a lot of requests for my bracelets so I’m going to keep up with that. I’ve promised my friend Kate to learn to knit better. In the meantime, when it starts again I will blog about my fertility struggles. Until then its just me and weird sort of boring life. Husband is sleeping in this morning. If you consider sleeping past 6:30 sleeping in. I went to bed before he did so I’m up and chipper and ready to go and he’s still got that face on him that says “what the HELL is WRONG with you? So I’m letting him rest. Were going looking for an antique Japanese lantern thingy today. For the yard. It’s what he wants for Fathers Day. Since the unfortunate sunburn incident from Mothers Day, this requires me to be hosed down with 70 sunscreen, like I’m 4 (with roughly the same amount of whining), and me wearing a hat. If it were up to him, Id also be wearing on of those Chinese lady visor/welders masks, and carrying an umbrella. Even though I am the crazy one, OBVIOUSLY, I have to draw the line somewhere. He’s just lucky my hat isn’t one of those Hatfield & McCoy hats, because that was a HAT. Kevin Costner couldn’t make it work, there’s no way I can. Its been an uneventful week. By uneventful, I mean stepdaughter finished the 10th grade, and left for Hong Kong for the next 10 days. It’s the first time we wont have her on Fathers Day and Husband is sad. In the next few days she will also turn 16, and we will miss that as well. Don’t ask, it’s not supposed to be like this but her mother can be really unreasonable sometimes and somehow we got Shanghaied into it. I also mean I made a new friend, in person, for the first time in as long as I can remember. Shes fanfreakingtastic! HUGE SHOUTOUT! I dropped a bottle of nail polish in the bathtub which was not very good as my bathtub is white, and my nail polish is red and now even though I’ve cleaned it up, as much as I can, it still, slightly resembles a crime scene. I finished the Provera and Shark Week should be here any minute. I was hoping maybe Friday but as usual my ovaries are doing whatever they want. Like the anarchists they are, obscene gestures and all, it is still not here. I know I have a penchant for waxing mushy about my husband but he’s such a great Dad. He helps his daughter with school projects, he loves her to pieces, is encouraging, is patient and kind and funny with her. They look exactly alike and she’s an incredible kid. I’m not jealous, but I want that. I want him to be a Dad again, and I want the opportunity to do it with him. He sets the bar pretty high but honestly, because of him, because of all these years of learning from him, I think it would make me a better mother. Happy Fathers Day to all of you, if you are a Dad, have a Dad, or someday hope to be a Dad, Happy Fathers Day! I hope it’s a beautiful one. Apricots have nothing to do with fertility but I’m in the lull between one cycle and the next so I’m going to make preserves. Who makes preserves anymore? I do. Damn good ones I might add. I have a secret. Mine contains about 70% less sugar than the ones you buy in the store. Why? Because if you add sugar, and wait, osmosis draws out the natural sugars from the fruit and you wind up with preserves that actually taste like fruit, preserves that hold their integrity, and don’t go bad any sooner than any other jams, jellies or preserves. 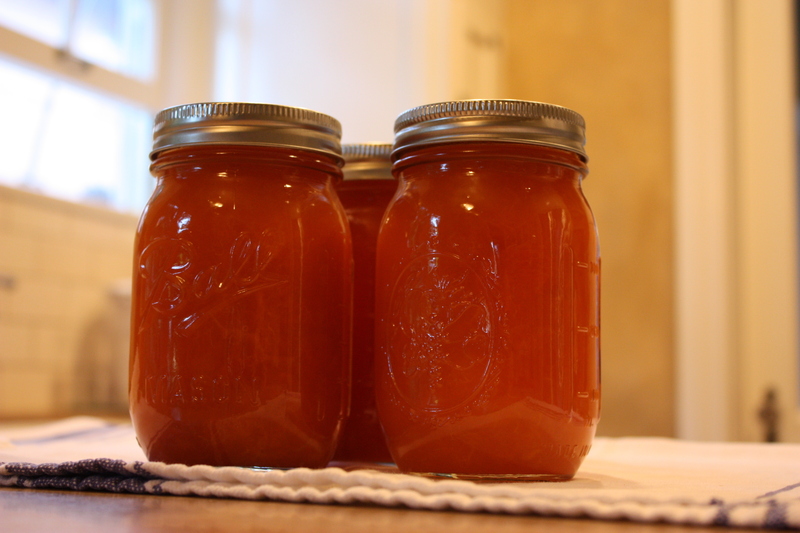 If you skim the extra syrup off the top when the preserves are boiling and put it in jars, you have syrup as well. For pancakes or crepes or french toast. The preserves can also be used in cookies, so throughout the year, when I’m baking I use preserves from my kitchen, and something about it makes me happy. Because I like to know what I’m feeding my family. 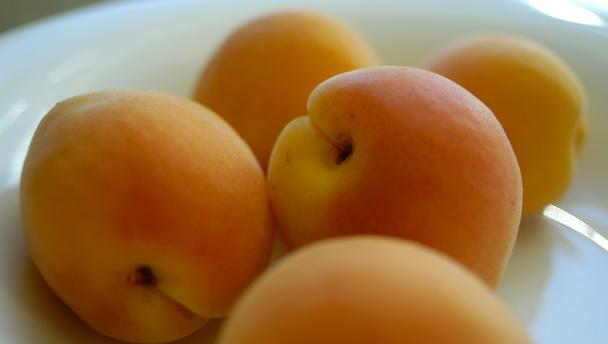 Apricots smell like summer to me. They look like tiny butts, and have that rosy blush on them. I love their colors, and I love how they look when they are all lovely and orange and golden in the jars when I’m finished. Like the summer sun. There was a post recently that got a lot of responses, about birthdays. And the idea of being an “old” mother. That they were the child of older parents and because of that, grew up embarrassed of their parents. A lot of people commented, apparently its a fear a lot of women in their 30’s have. I never wanted to be an “old” mom. If I am honest, the post and the comments really hurt my feelings. Because clearly lots of women in their 30’s blog about infertility, and so there are a whole group of you who support each other. Which is fantastic. But it made me feel isolated in my wish for a child because I am over 40. My own mother was 37 when she had me. She had my younger brother at 39. As a kid yes, there were times that my parents embarrassed me. But I’m sure it wasn’t because they were old, it was because I was a kid and parents are embarrassing when you’re trying to become more independent, especially in front of your friends. My parents were born in 1935. They were depression era parents, meaning that they were born during the depression, remembered going without, so wasting food was not ok. I had 3 older brothers and sisters, so I never had a pair of shoes someone else hadn’t worn until I was 13. I had to share a room with at least one of my sisters until I was 14, because there were so many of us, and we varied in ages by a lot. My oldest sister is 13 years older than my youngest brother. Every summer, my mother would take a few weeks and “put up fruit and vegetables” I learned how to “can” from her. I remember when she would do blackberries, and blueberries, the entire kitchen would be purple. She also did beans, tomatoes, strawberries, cherries, peaches and apricots. The mess used to drive me crazy, we didnt have a dishwasher. Plus its really hot work. I don’t do all that. I do a little, and mostly I do it because it reminds me of good times with my mom. Because people like them, and I like to give them away. I’ve had a bad week. In fact the last few months have been really, really hard. I try hard to keep busy, making things, doing something constructive. My embarrassing, old parents taught me that the best way to keep yourself out of trouble when things are bad is to keep your hands busy. To not allow your mind to be idle. To make an intention and toil toward the future. Maybe its better to be young parent. Maybe. Or maybe the world would be a better place if we stopped judging ourselves and others by their age without knowing their circumstances. Did any of you love your parents less because of their age? Somehow I’m betting the answer is no.